WELCOME TO THE WONDERFUL WORLD OF AUSTRALIAN SHEPHERDS! THIS SITE IS TO INSPIRE YOUR LOVE FOR THE AUSSIE! 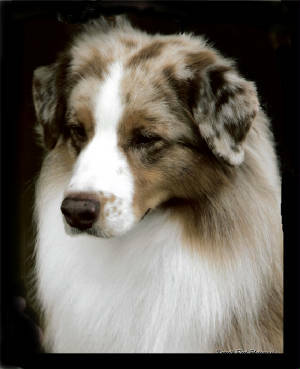 THEY ARE THE MOST VERSATILE DOG, GREAT COMPANIONS, FOR YOUNG AND OLD ALIKE. AUSSIES HAVE BEEN A PART OF MY LIFE SINCE CHILDHOOD. 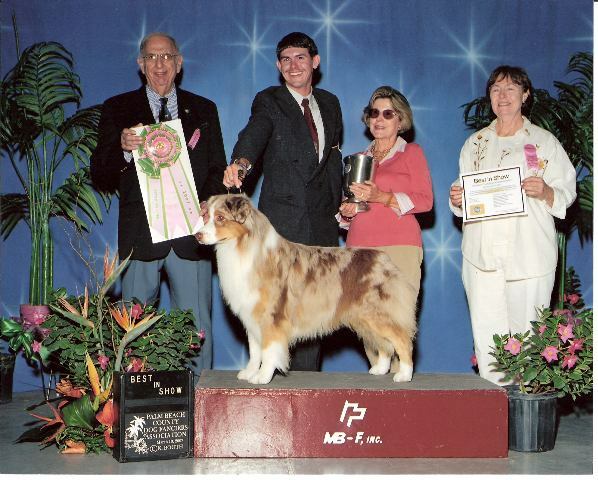 I HAVE ALWAYS HAD AN AUSSIE AS A COMPANION. WE USED THEM ON OUR CATTLE RANCH AS I WAS GROWING UP. OUR FAMILY'S BELOVED CODY PASSED AWAY IN 2002 AT AGE 15. HE IS THE REASON WE ARE SHOWING AUSSIES TODAY. I WANTED TO HELP HEAL THE EMPTINESS IN OUR HEARTS, SO I THOUGHT A NEW PUPPY WOULD BRING A BIT OF JOY INTO OUR LIVES. WE PURCHASED CODA FROM RISTA KENNELS. WE ARE VERY PLEASED, TO SAY THE LEAST, WITH CODA. HE HAS TAKEN MY SON PLACES WE NEVER THOUGHT OF BEFORE. 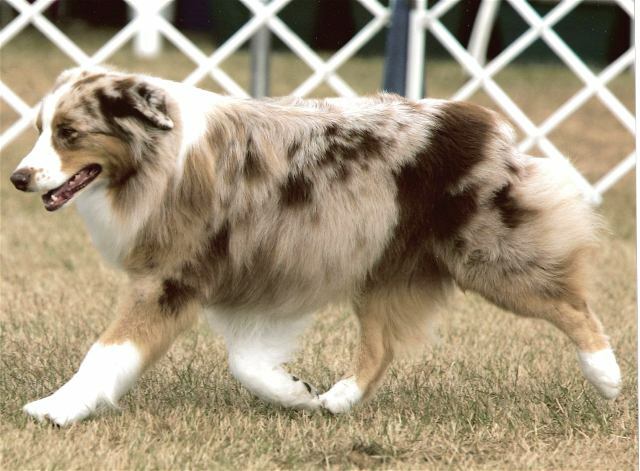 THEY HAVE MULTI-HERDING GROUP PLACEMENTS, AND MANY BEST JR. HANDLER WINS. HE HAS ALSO COMPETED IN OBEDIENCE, AND RALLY IN 4-H. TANNER AND CODA ARE NOW A THERAPY DOG TEAM. WE ARE SO PROUD OF THEM FOR PLACING SECOND IN THE EUKANUBA NATIONAL CHAMPIONSHIP JUNIOR FINALS. THIS HAS BEEN A VERY EXCITING YEAR. TANNER ALSO FINISHED AKC CH.SUNCATCHER'S RENEGADE GIT-R-DONE IN PERRY, GA WITH A 3 PT MAJOR. LOOK FOR THIS DYNAMIC TEAM, TANNER AND CODA, AT EUKANUBA IN CALIFORNIA DECEMBER2-3,2006 AND AT WESMINSTER IN NYC FEBRUARY 12-13,2006.